If your company is sending you to Los Angeles for a temporary posting you might want to get away from the city after work and at weekends. Why not stay near the beach in Santa Monica? It sits on Santa Monica Bay and is surrounded on three sides by Los Angeles – Venice to the south, Mar Vista on the southeast, Sawtelle to the east, Brentwood on the northeast, and Pacific Palisades to the north. So you have direct and quick access to Los Angeles itself, but you are away from all the bright lights and constant hustle and bustle. At Key Housing Connections we have Santa Monica short term rentals available for stays of a few weeks up to several months or a year or more. We offer standard packages of VIP, Essentials, Economy, Intern, and Nurse. Alternatively, you can customize a housing package to meet with your individual requirements. Furniture can be just the “basics” all the way through to extravagant, depending on your budget and needs. Housewares can be provided right down to the can opener, and TV sets, DVD, microwaves, and even computers can be supplied. High speed internet is provided in most Santa Monica short term rentals, and housekeeping and maid services are also available if required. In some properties pets are permitted, but it has to be said that availability is limited and a pet deposit or premium may be required. Santa Monica itself is a lovely city in which to live. It has a warm climate and a total population of just short of 100,000. There are three main shopping areas – Main Street to the south, Downtown District in the city center, and Montana Avenue to the north. Montana Avenue features restaurants and luxury boutiques that are more upmarket than the others. For filmgoers, Santa Monica Promenade is the place to go where there are more than a dozen movie screens including the Aero Theater and Criterion Theater, both of which were built in the 1930’s. The city also holds the annual Santa Monica Film Festival. If you want to go for a country walk you can stroll through Palisades Park which overlooks the ocean and features benches, petanque courts, picnic areas, artwork, and even a totem pole. For exercise you can walk down the Santa Monica Stairs, a long steep staircase that descends into the Santa Monica Canyon, and then, of course, you have to walk back up again. The Looff Hippodrome is a National Historic Landmark on the famed Santa Monica Pier which was built in 1909, and also on the pier is La Monica Ballroom which was once the largest in the country. There is Bergamot Station which is an art gallery owned by the city and includes the Santa Monica Museum of Art, and there is also the California Heritage Museum and the Angels Attic dollhouse and toy museum. 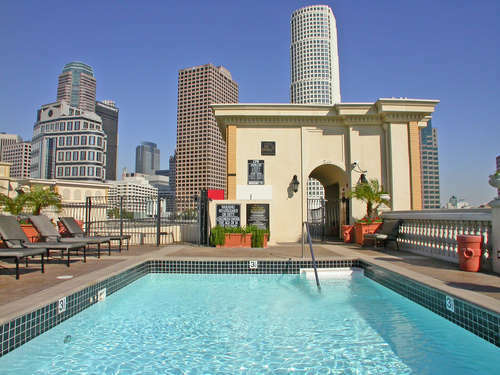 Certainly, there is plenty to see and do in the city, and it is convenient for the rest of LA. So for Santa Monica short term rentals be sure to give us a call to discuss your needs.